It’s easy to pinpoint where it all started to unravel. I remember it clearly. It was 3 January 2004. Greenock Morton were playing away at Dumbarton and I, like most of the press bench, was nursing a protracted New Year hangover. 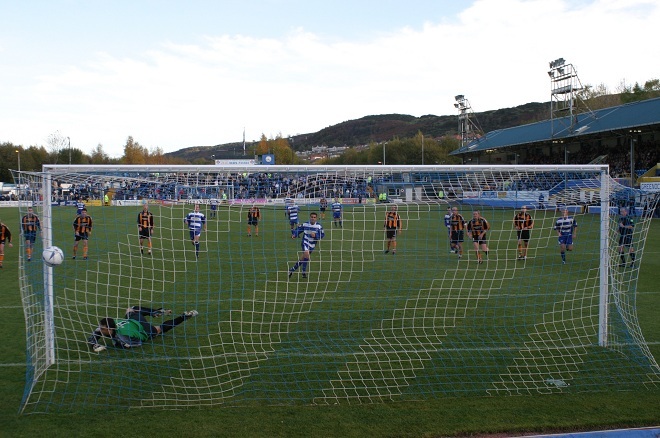 Morton put in an abject display and lost the game 1-0. “Maybe they were suffering from a hangover, too”, some wag jested. If they were, it was a hangover that lasted for the rest of the season. You see, up until that point, Morton had lost just one league game (a blip against Berwick Rangers). They had amassed a 12-point lead at the top of the Second Division and looked unstoppable. After the Dumbarton match, their form… well, you could have almost skied down it. Until then, Morton, under John “Cowboy” McCormack in his favoured 3-4-3 system, were playing the type of football that was worthy of a higher tier and they were regularly notching four or five goals per game. It made sense – they were a full-time outfit playing against, for the most part, part-time opposition. They made it count. They made it count in spades. But from January to May of 2004, Morton struggled against those very same sides. From a football perspective, it’s easy to say why. As a team, the Ton simply stopped being a cohesive unit. Players such as Alex Williams, for example, who had excelled in front of goal, inexplicably became less prolific. An industrious and creative midfield began to huff and puff in tune with their part-time opponents, all creativity effectively nullified. The defence, while a little leaky prior to Christmas, began to make costly mistakes. Suddenly, the underdogs had a scent of blood and they went for it. Teams stopped setting up to frustrate Morton and actually began to attack them. What is harder to explain is the reason for this lack of cohesion. The rumours – rumours that were reported in the national press at the time – suggested dressing room unrest. Player dissatisfaction with McCormack’s “hard-line” methods was one such theory. 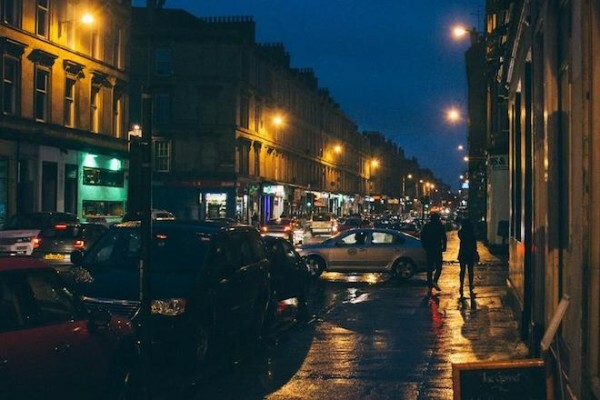 There were more serious allegations in the press, though, concerning the development of a laddish booze culture and, worst of all, certain players betting on the outcome of the title race – and not in Morton’s favour. It has to be stressed that the latter was never proven: not one shred of evidence was produced publically and no one was ever formally disciplined. The only thing that seemed a certainty was that McCormack had lost control of the team. A monumental lead began to ebb away in a fashion similar to Newcastle United’s famous Premier League slump in 1996. Worse for Morton was that Airdrie United, previously languishing in mid-table, had strengthened an already talented squad. The arrival of the experienced Owen Coyle spurred on the likes of Alan Gow, Willie McLaren and Jerome Vareille and, all of a sudden, it was the Diamonds who were charging towards the top. Morton opened the season with a win against Airdrie – a game I’ll always remember for the fact one of the Cappielow crowd was asked to run the line after an injury to an official – and, on that day, they were far superior. When the sides met on the final day of the season, they were poles apart – and not in a way that flattered the Ton. It’s important to note here that there had been a brief respite for Morton in early March, where the team looked to be in the process of shaking off the post-Christmas malaise via wins against Stenhousemuir, Dumbarton and Berwick. However, by the end of the month, Airdrie had finally toppled Morton from the helm by a single point and that enormous advantage held over the festive period had amazingly been frittered away. Morton did regain top spot on goal difference shortly after, but the lowest point of the season for the Greenock side was waiting for them when they visited Hamilton Academical in early April. Although not quite enduring the 10-2 humiliation of a decade later, the result that day dealt an equally fatal blow. It allowed Airdrie to overtake them at the top of the Second Division once again and, from there, Morton failed to recover. The Ton set up that day with their usual three at the back. Captain Derek Collins, who was deployed as a sweeper, looked uncomfortable with such a cavalier approach against a proven attacking force. As Hamilton notched goal after goal (the game finished 6-1 in their favour), Collins cast a forlorn look at McCormack on the bench. It was a look that said, desperately: “This isn’t working, boss”. McCormack did nothing until it was far too late. Morton were caught flat-footed time and time again. The Accies’ Brian McPhee, Mark Corcoran and Brian Carrigan continued to run riot. That result told Morton supporters, the press and the rest of Scottish football that the title was lost. More worryingly, it told all and sundry that the team was lost, too. The criminal thing is, however, Morton didn’t just throw away the title that season, they threw away promotion, too. From what seemed an unassailable lead come Christmas 2003, Morton finished the season five months later in fourth spot. Incredibly, McCormack was allowed to continue as manager over the summer before he eventually left the club early the following season following a poor start. It marked a sad end for a man who had led Morton to the Third Division title just over a year earlier and, along with chairman Douglas Rae’s arrival, had been instrumental in ending a tumultuous time for the Cappielow side. Just over two years earlier, the club had faced extinction during the disastrous Hugh Scott regime. Fourteen years on, I wanted to get a better picture of what happened that season from the players’ perspective, hoping that time had proven the old adage true and healed some old wounds. One person I always found amenable, even during those testing times, was Chris Millar. 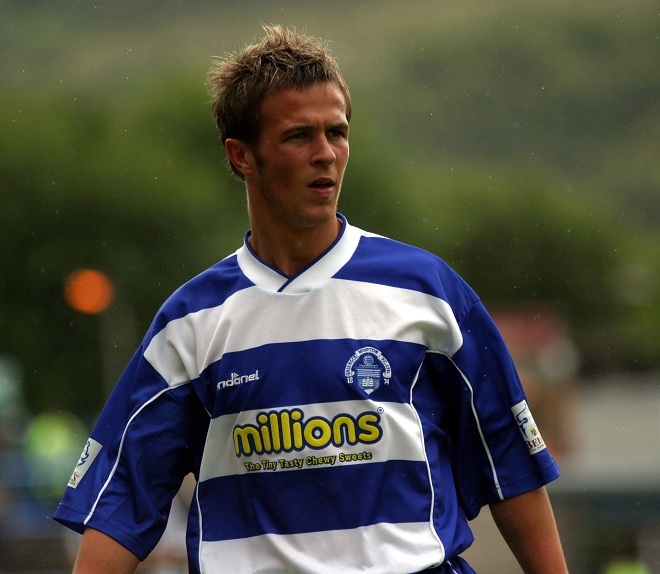 Currently known as one of St Johnstone’s more experienced midfielders, Millar was still finding his way in the game when he joined Morton from Celtic’s youth set-up in 2003. Born in Port Glasgow, Morton was Millar’s local senior club. “We’d come up from winning the Third Division and we carried on that momentum,” he remembers. “The crowds we got were unbelievable. There was a real buzz about the town and the club. For a young lad like I was then, it was a really good taste of grown-up football. We signed Peter Weatherson from Queen of the South and he was a revelation. He was just what we needed to add to the title-winning side. We signed big Stewart Greacen for the defence and the tricky Paul Walker, too. We were blowing teams away, scoring lots of goals in the process. Millar opines that an injury to star striker Weatherson was the catalyst for Morton’s downturn in fortunes. “Peter got injured around the time we had that huge lead,” he says. “He broke his foot and was out for six weeks. That was the pivotal moment for me. Our form seemed to go right out of the window from then on. I think we won only four or five games from that point. When Peter came back, his form wasn’t what it was. We were losing and drawing games that we should have been winning and the season fell apart. “From being a dream at Christmas, it turned into a season to forget. I remember I couldn’t get away on holiday quick enough, despite the fact I won the club’s Player of the Season award. It was terrible. We lost the last four games particularly badly and I needed to get away to reflect on what had happened to us. “When I think about it now, I still struggle to comprehend it. We had Alex Williams up front, as well as Peter − two out-and-out goal-scorers. They were the best in the division. When their form went, it was as if we were scared that we wouldn’t or couldn’t score. I remember a game against Stenhousemuir. It was one of the few we did win after Christmas. They were there for the taking but we were labouring about. I remember thinking: ‘I’ll have to do something here’, and took a shot on from about 30 yards which flew in. I couldn’t obviously do that every week, though. “Looking through the squad, we had enough to win these games, or at least on paper we did. It must have been really hard for the manager. I believe he was doing everything right. He was doing nothing differently from when we were easily winning games before Christmas. He was trying everything to help us regain our form – one-to-one chats and sessions on the training pitch. Nothing seemed to help, though. While Millar attributes a lot of weight to Weatherson’s injury being the key reason for Morton’s decline, he cannot deny the unsavoury allegations also played there part. “We were a tight team off the pitch,” he says. “We all socialised together on a Saturday night. In my view, there was nothing wrong with that. We all enjoyed each other’s company and I think that benefited the team on the pitch. People talk of a booze culture but there was nothing of the sort. Perhaps a few lads went too far individually on several occasions, but collectively there was never an issue. “The betting thing, though, was absolutely ridiculous. I mean, where did it even come from? I don’t think anybody ever found that out. The accusations, I remember, were levelled at Alex Williams, Peter and the Maisano brothers, John and Marco. It was said that they had all bet on Airdrie to win the league. The Maisanos had never put a bet on in their life. They were total professionals. They had come to Scotland from Australia, lived in Greenock, integrated themselves in the community and they loved the club. I couldn’t think of anyone less likely to bet against Morton than them. “But instead of getting laughed off as nonsense, the rumours started to be taken seriously and got press coverage. I remember a game against Airdrie in the second half of the season. I went to take a corner and the Airdrie fans showered me with betting slips. That’s how widespread the whole thing had become. “As far as I’m concerned, it never happened,” Millar asserts. “It just wasn’t true. I was tight with Peter Weatherson and I know he would’ve told me if there was anything in it. I remember he was really upset by it all. He said to me: ‘They’re saying I’ve put thousands of pounds on Airdrie to win the title. I’ve not even got the kind of money to put a bet on like that.’ It was a horrible time. With us having bad form on the pitch and then these rumours emerging, the fans were understandably getting unhappy. “Sure, a few of the lads would nip into the bookies to bet on themselves to win or to score, as was allowed back then, but I’ve never known anyone at any club who has bet on themselves to lose. What’s the point? Even if you could single-handedly make your team lose a game, you’re doing yourself out of a win bonus. It just doesn’t make sense. “Alex was a bit of a boy, and Peter, too, everyone knows that, but they wouldn’t bet against themselves. They were known as cracking goal-scorers and would always want to protect that reputation. In light of Millar’s comments, I thought it best I caught up with Peter Weatherson. My lasting memory of him is that he was a very gifted footballer. My first glimpse came just after he had arrived at Morton from Queen of the South for a sum of £30,000. He was a powerful forward who could use both feet and score quite easily from outside the 18-yard box. His hold-up play was equally impressive, allowing his foil, Williams, to make blistering runs into the penalty area. Originally from North Shields, he was an affable lad, who, like Millar, always had time for a chat. He chuckles when I tell him of Millar’s recollection of his “critical” injury that season. “I tried to cover it up with the gaffer and said I’d hurt my foot in training. The x-ray confirmed a broken metatarsal and I was out for six weeks. To be fair, it healed pretty quickly. I should’ve been out for eight weeks but was back training within five. “Before my injury, the team was flying and I was scoring for fun. It was naivety and stupidity on my part that cost me those weeks of that season. You learn from these mistakes, though, eh? When I was playing well and scoring, it was all happening naturally. I was in the groove, so to speak. After the injury, I was conscious I had to hit the ground running. I felt guilty. It was my fault I’d been out of the team, so I was desperate to get back to where I had been right from the off. I put extra pressure on myself because of this. It was my way of wanting to make amends. “Collectively, though, the team had stopped gelling as a unit when I came back. Before I was injured, we all got on brilliantly off the pitch. That’s well documented. We all hung out together. On the pitch, we played off the cuff. Cowboy was a good football person and had us organised, but we were good players – really good players – at that level. The fact we hung out together made it work all the more. “Then, without warning, the club put an alcohol ban on us. It was basically said that if we were seen in a licensed premises, we would be sacked. In my opinion, that was one of the things that really hindered us. We had guys travelling from Glasgow to play for Morton. They would stay with the lads who lived in Greenock all weekend. It wouldn’t all be partying. We’d go for a game of golf on the Sunday, for example. It was just real mates stuff, real bonding. And then came the betting allegations. At the time, I didn’t fully appreciate how much they had hurt Weatherson. “The money they were talking about me putting on was thousands of pounds,” he says, sadly. “At that time, I was living week to week. I didn’t have savings or anything like that. Come on, I was a young lad playing football for a living, I wasn’t thinking about the future. It now seems to be public knowledge that I liked to have a small bet. It’s true. I’ve gambled in the past. But there is no way on this earth I would bet against my team. Absolutely no way. “I know now where the rumours came from. I’ll be honest with you there. I’m not going to divulge exactly from whom or from where they came, but I know. It was a few years later when I found out − the season we eventually won the league [2006/2007]. I was nominated for Player of the Year. I attended the awards ceremony and it all came out that night. I’ll say no more than that. At the time, I was baffled and hurt. I’ve since moved on. “You see, it was the worst time of my life. You have to imagine it. I was pulled into Cowboy’s office every morning. He’d look at me and say: ‘Go on, son, just admit you did it’. How can you admit to something you haven’t done? It got to a stage where myself, Alex Williams and the Maisano brothers got together and confronted the manager as a group. We said: ‘Come on then, which bookmakers are we supposed to have used? Tell us, and we’ll go there to confront the accuser face to face.’ We never got a response. All we got was: ‘Look lads, just admit it and then we’ll go about sorting this mess out.’ That was my life for weeks. “Sure enough, we all got grilled by Cowboy again after the match. He said: ‘I can’t help you if you don’t give me an answer.’ We told him straight: ‘We have given you an answer. We’ve told you we haven’t done this thing.’ Then he advised us not to go back to our homes that night as we wouldn’t be safe. Can you believe that? I stayed in the club flat at that point, near the ground. Supporters knew the flat. I was scared, I’ll be honest. I went back to the flat regardless and nothing did come of it, but it was yet another example of how out of hand those rumours had become. I was considering heading back to Newcastle and quitting football by this point. It seemed that no matter how many times I denied it, the rumours just got more and more severe. I’m sure the other accused players considered doing the same. It was early May when the accusations of betting began to truly saturate both the media and football websites alike. We at the Greenock Telegraph also looked into the allegations but, just like everybody else, found no supporting evidence whatsoever. As Weatherson referenced, it was after a 3-0 defeat at Dumbarton − a result that saw Airdrie move five points clear of Morton at the top of the table − that ugly scenes erupted outside the Strathclyde Homes Stadium. Marco Maisano had to be held back by stewards when fans levelled accusations at him directly. In response to the rumours currently circulating Morton FC in regards to players of Morton FC allegedly throwing games, I take this opportunity to refute any involvement of John and Marco Maisano in such matters. 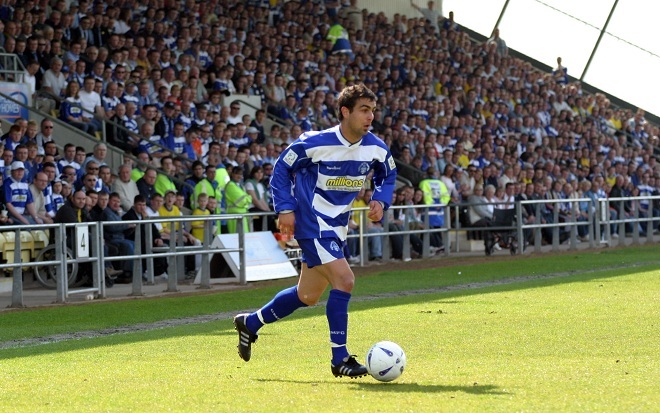 John and Marco Maisano play football to the best of their abilities and do so with passion and love for Morton FC. They play to win and their sole goal is to win another championship and promotion this season with Morton FC. Both players are deeply hurt that any player’s names, let alone their names, have been used in such a disgraceful manner. Both players are indebted to the Chairman and Board of Morton FC along with the fans of Morton and the city folk of Greenock for the manner with which they have been treated since their arrival at Morton FC. John and Marco have flown their parents out from Australia to be in Greenock to celebrate the promotion of Morton FC into Division 1. Is there really any need to say more? Well, according to John Maisano there is. The attacking midfielder was both a creator and scorer of fine goals for Morton; an elegant, intelligent, continental type of player in many respects. Sadly, for football in general, he decided to retire from playing at the age of 27. He has now returned to Australia where he runs a chain of fitness outlets in Victoria. “At first we thought it was a joke,” Maisano remembers. “As professionals, we’re trained to just focus on our job and not to listen to anything outside the changing-room walls. So, when the chairman called a meeting to discuss this, you can imagine my shock. The funny thing is, I wouldn’t even know how to put a bet on. “I have no idea where the rumours came from. All I know is, as a club − and by club I mean players, staff, officials and supporters − we weren’t strong enough collectively to combat them. Everyone wanted to believe that there was something else going on apart from the simple fact that we had lost form. I was a young guy, 24 years old, and I was too worried about my own form to think of anything else, but, if I had that time again, I would stand up and make sure the whole town heard what I had to say. “In house, we were told that we were all being investigated. It wasn’t a great way to help already low-in-confidence players deal with the expectations of a club such as Greenock Morton. We were expected to fly out of the division and score three goals a game while playing the perfect brand of football. “We all took offence to the rumours but no one had the courage to speak up through fear. Well, what good did not speaking up do? The rumours didn’t go away, did they? Regardless of the betting allegations, our season was finished. We didn’t know it at the time, but we were not going to be able to pick ourselves up. Those rumours just gave people something else to talk about and made everyone focus on that rather than why we weren’t taking responsibility for the poor performances on the pitch. It gave us players an excuse to hide behind. Ultimately, we took the same poor performances into the next season because we didn’t deal with the real issue the season prior. Despite his torrid time that season on the Tail O’ The Bank, Maisano still remembers Inverclyde fondly. “For me, the best part of being at Greenock Morton was that the town embraced both me and Marco as their own and for that we will always be grateful,” he says. “Greenock feels like home and Morton will always have a special place in my heart. I keep in regular contact with the club and, every time I go back, I literally feel like I never left. I love it. 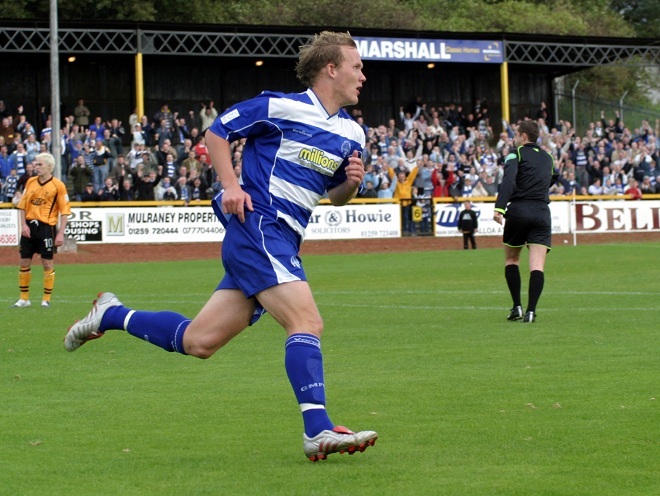 As these events took place 14 years ago, there will no doubt be some who question the merits of revisiting this particular season, especially as Morton are currently in a very positive place. It is not my intention to upset the establishment. In my opinion, the 2003/04 season was one of the biggest stories of the Scottish lower leagues this century. As a football writer, it is certainly the most interesting I have been involved in. And on that note, I’ll let Chris Millar have the final word. Chris Fitzgerald is a freelance sports writer who has written two books on his hometown club Rochdale AFC. He has worked in the Scottish media since 2003 and is a Scottish Press Awards Sports News Writer of the Year nominee. An abridged version of this article originally appeared in Nutmeg Magazine. The quarterly periodical is a must-read for any fan of Scottish football and features great stories told by great writers. Subscribe to Nutmeg here. 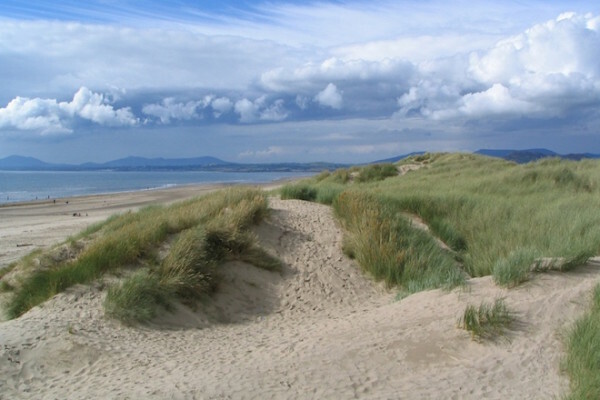 An enormous debt of gratitude also goes to freelance photographer James McFadden for the kind use of his images.